Are you ready for the weekend to start, or what? I certainly know I am! After a long week of work and unpacking boxes, it will be nice to sleep in, maybe hit the beach and definitely try and see more of this new city. So you better believe that I am on the look out for some new handbags to tote around in San Diego. 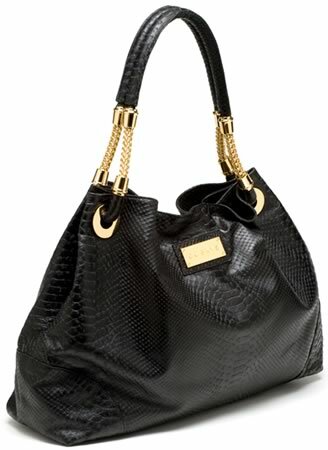 One bag that would look great on my arm is the CC Skye Ashley Python Shoulder Bag. Amanda covered this bag in embossed natural snake. I loved it then and I think I might love it more in all black. The gold-tone hardware really pops against the black. The functionality aspect of the bag is something I cannot get over; this is the kind of bag that can be toted all over just about any town. I mean, I don’t think I would sling this over my shoulder as I head to the beach, but I’m pretty sure you get where I am coming from here. 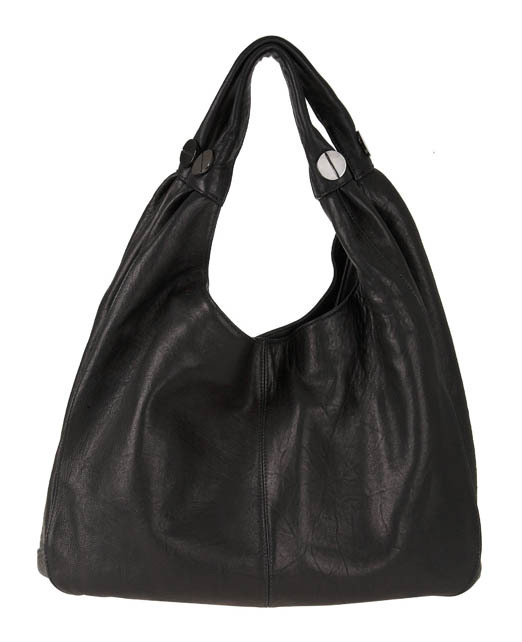 The hardware is chunk and noticeable which I really like; it fits this big bag perfectly. Buy through Singer22 for $625.